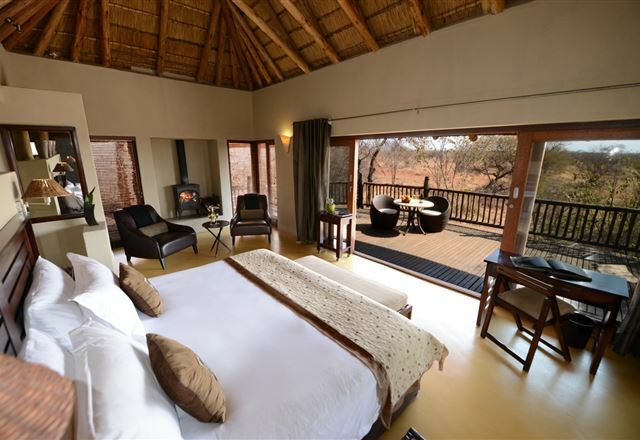 Just 3 hours' drive from Johannesburg and Pretoria, Madikwe Game Reserve lies north of the town of Groot Marico, tucked against the Botswana border. 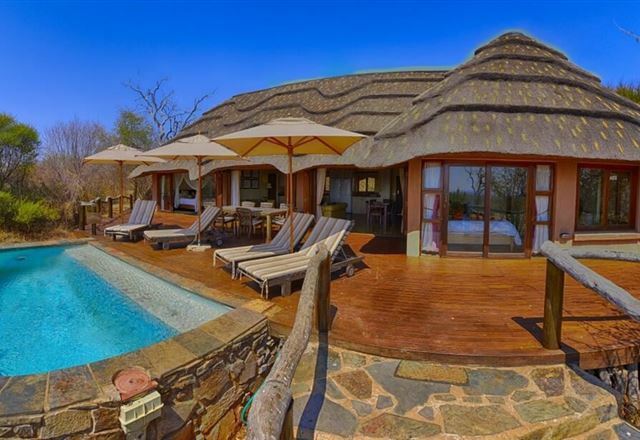 Madikwe is regarded as one of the finest conservation areas in Africa and its 75 000 hectares are home not only to the Big 5 but other major species as well, such as the leopard, buffalo and white and black rhino. 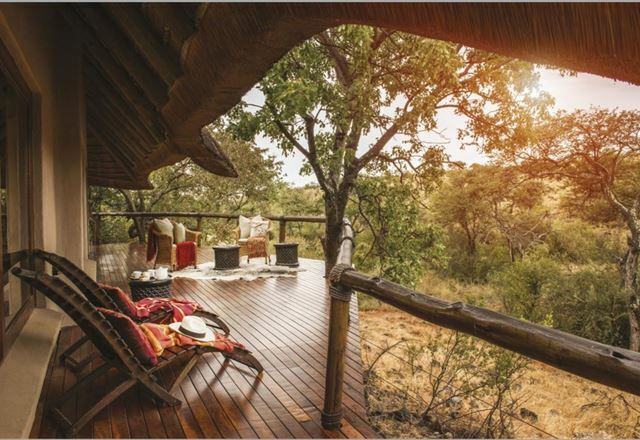 Madikwe lies in a malaria-free transition zone on the edges of the Kalahari - a totally unique location - where a number of rare species of animal occur naturally, like the endangered wild dog and elephant. 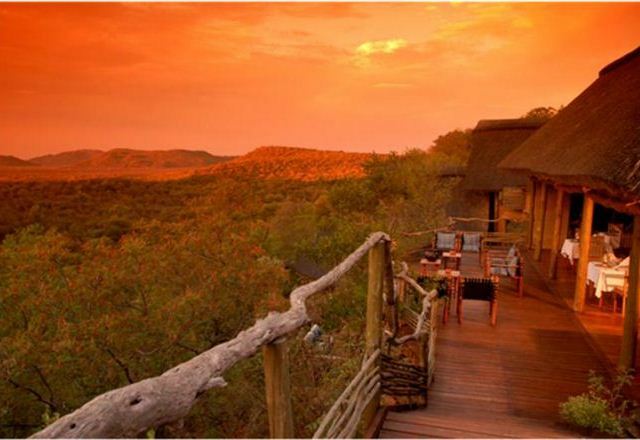 Madikwe is home to the 2nd largest elephant population in the country. 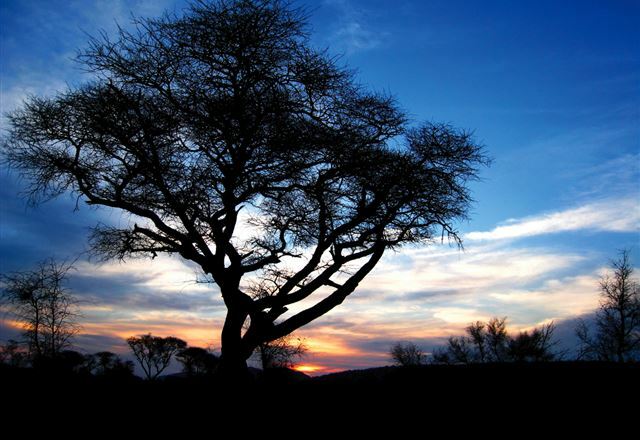 The reserve is also home to over 300 resident and migrant bird species. 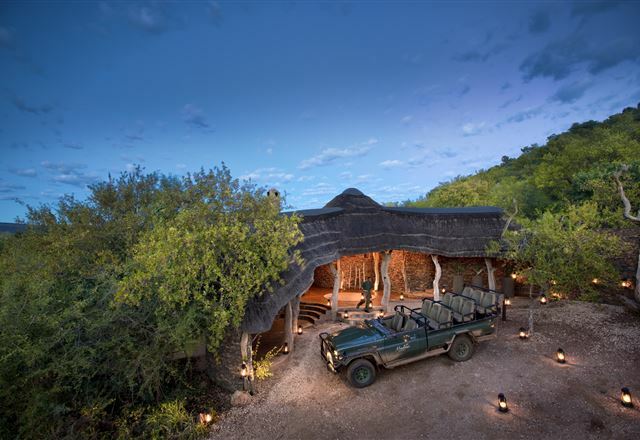 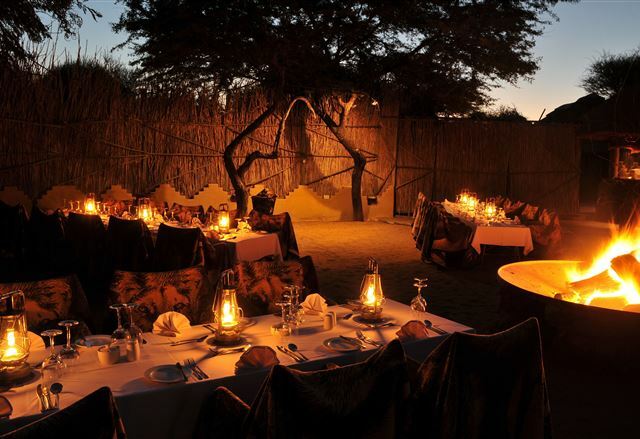 Madikwe Game Reserve, the 4th largest reserve in the country, is the land of open vehicle game drives, guided bush walks, traditional lapa dinners and exciting night drives. 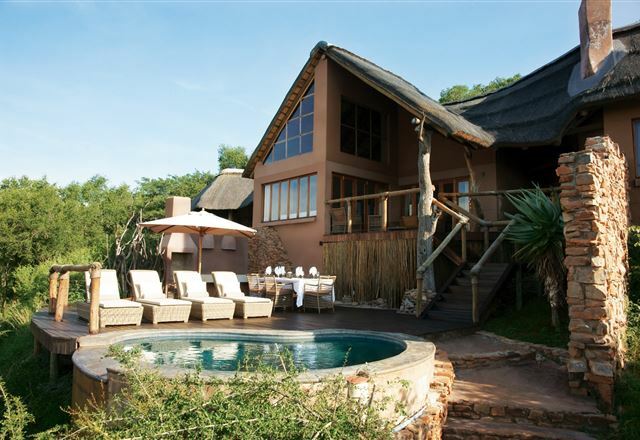 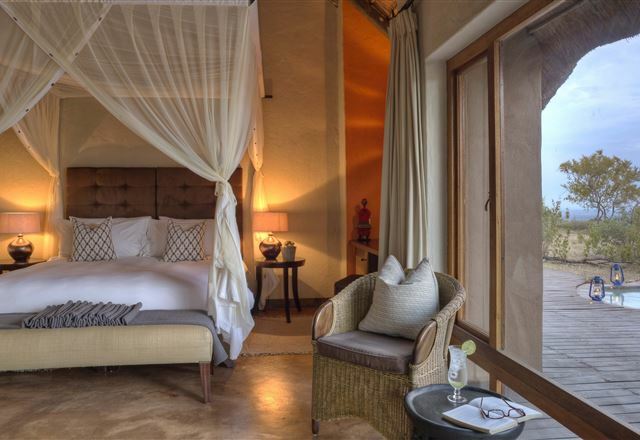 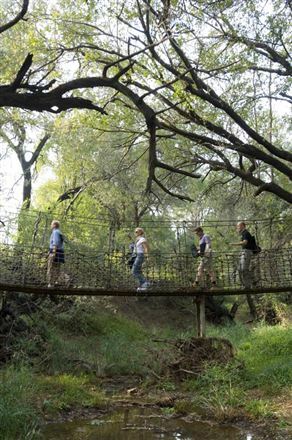 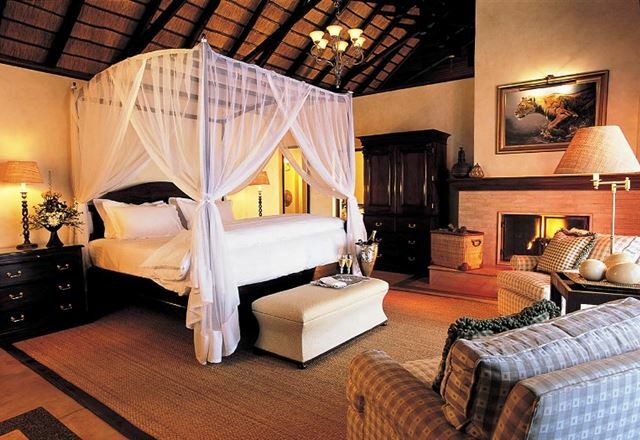 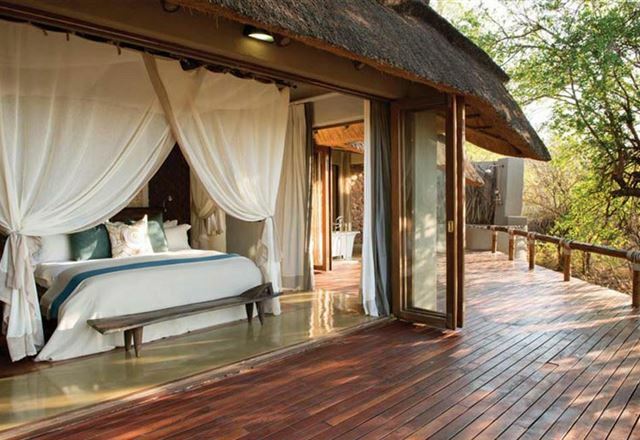 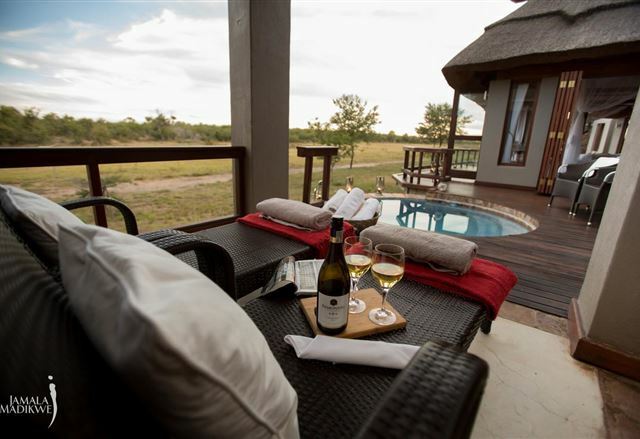 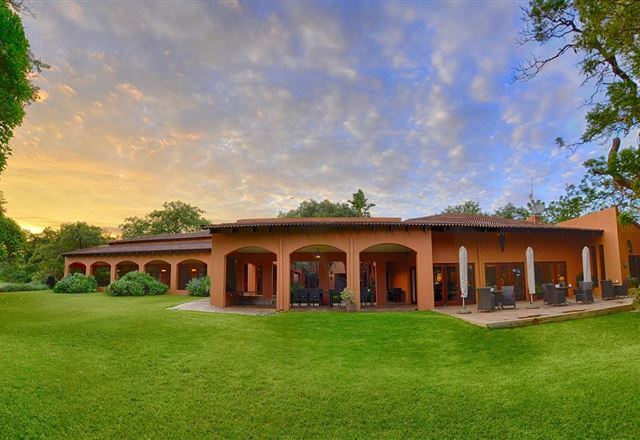 Madikwe is for the exclusive use of its lodges' residents and no allowance is made for day visitors.